Type DISPLAY in the search bar to see more pictures of the inside of Moravian Hall. 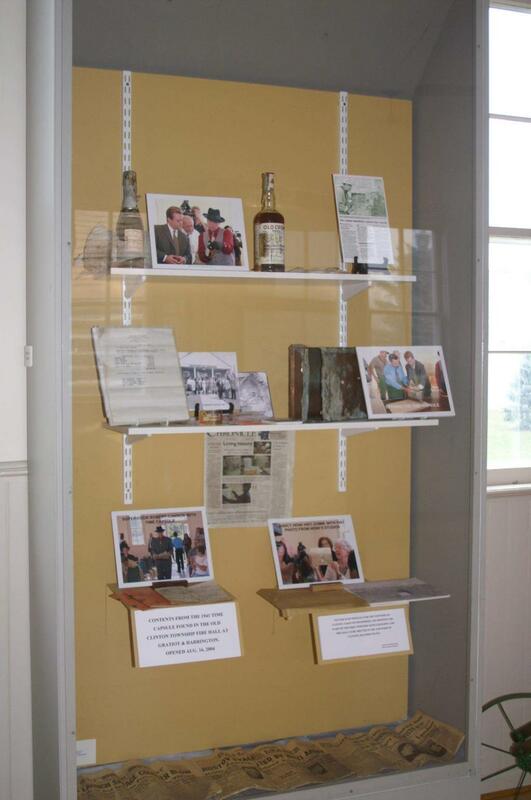 This display shows items from the Time Capsule that was found when the fire station was torn down. Click on the picture twice for an extreme close up. The Cabin and Twp Hall are opened during concerts and special events. Contact the web master if you have a group that would like a tour.